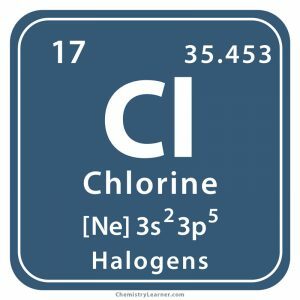 Chlorine (pronounced as KLOHR-een) is a highly reactive diatomic gas belonging to the family of halogens. Denoted by the chemical symbol Cl, it categorized as a nonmetal [1, 2]. 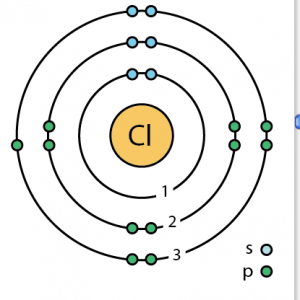 It has 16 isotopes with mass numbers ranging from 31 to 46 of which only Cl-35 and Cl-37 have a natural existence with a stable half-life . It does not occur freely in nature, existing in minerals like halite, carnallite, and sylvite. It is also found in the form of sodium chloride in salt beds and lakes that have occurred as a result of leaching into the sea since ages . Origin of its Name: Its name is derived from the Greek word ‘chloros’ that means greenish yellow . 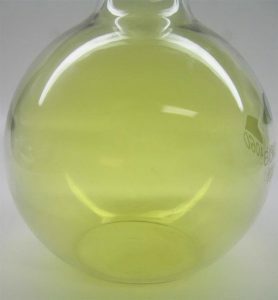 In 1774 at Uppsala, Sweden, when Scheele heated hydrochloric acid with the mineral pyrolusite, a greenish-yellow gas was produced that had a choking odor. It also dissolved in water to produce an acidic solution, and bleached litmus paper, flowers, and leaves. In 1807, the Cornish chemist Humphry Davy found the new gas to be an element, officially announcing its existence in 1807. 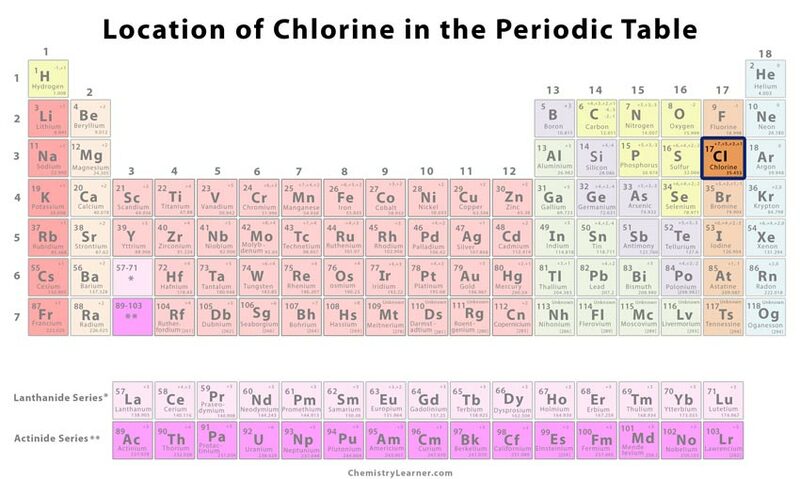 However, it took another ten years for chlorine to be recognized as an element by other chemists [1, 2]. Chlorine-based liquids, granules, and tablets are used as disinfectants to treat swimming pools and drinking water . It is added to PVC (polyvinyl chloride) used in electrical wiring insulation, window frames, water pipes, blood bags, and car interiors . 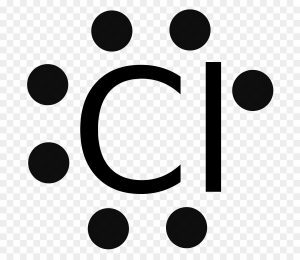 Commercial household bleaches containing Cl are effective in cleaning kitchen and bathroom areas, and whitening clothes . The element is used in the manufacture of several consumer products like paints, dyes, solvents, paper, insecticides, and textiles . Some medicines and pharmaceutical products used in the treatment of arthritis, allergy, and high cholesterol contain chlorine as the active ingredient [1, 3]. It finds application in certain oxidation and substitution reactions . Prolonged exposure to chlorine gas can cause watery eyes, skin rash, burns, shortness of breath, nausea, and vomiting. Inhalation of high concentration of the gas can lead to severe health hazards inhalation like pulmonary edema . It was used as a chemical weapon in the World War I by the Germans for its toxic nature . 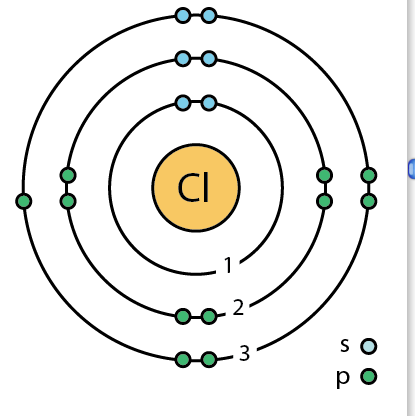 Salt water can be electrolyzed to release chlorine . 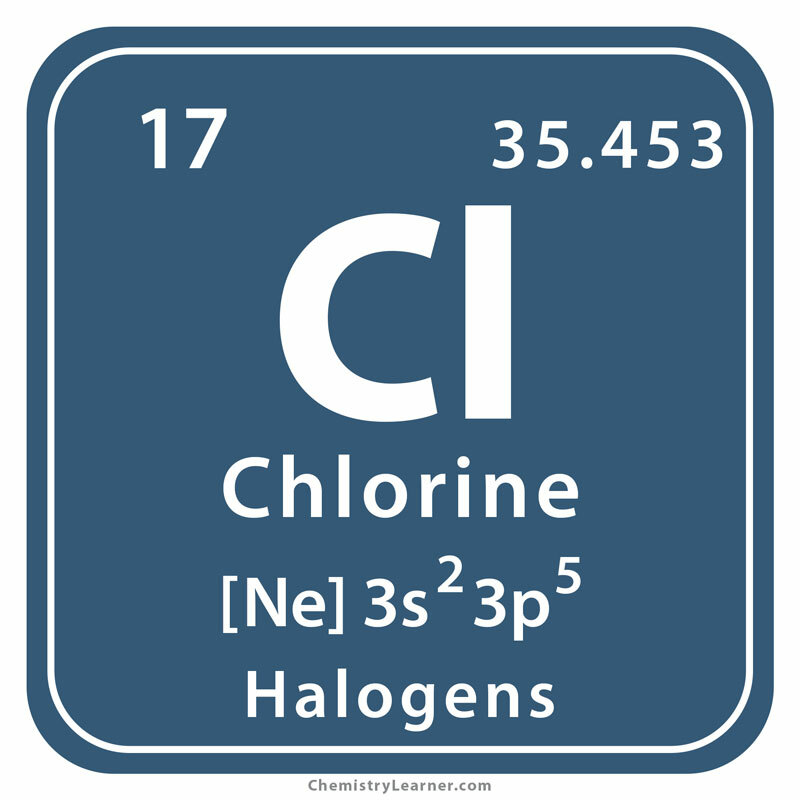 The price of pure chlorine may vary between $0.15 and $0.16.